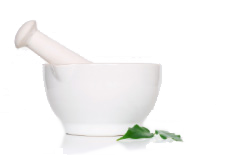 Health Chemist is a leading online pharmacy and natural health specialist, a division of Commodore Pharmacy (1989) Limited, which is 100% New Zealand owned and operated. 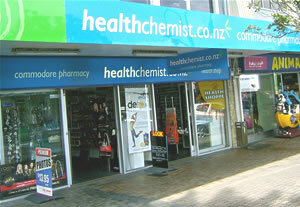 Our physical retail store is located in Browns Bay on the North Shore of Auckland, New Zealand and has been operated as a very successful and unique pharmacy and natural health store for over forty years. The store incorporates an extensive natural health component which has one of the highest sales turnovers of any individual Health Shop in New Zealand and showcases an enormous range and variety of product. We are current members of the Pharmaceutical Society of New Zealand and the Pharmacy Guild of New Zealand. We operate to the highest standards of ethical pharmacy practice and the owners, Lew Johnson, (Charge Pharmacist and Managing Director contact:lewjohnson@healthchemist.co.nz), along with Sharron Johnson, (Managing Director) have operated the business for over 27 years. This site incorporates a learning centre where you can access leading, up-to-date information on health conditions and treatment. A "safety checker" feature is also available indicating if your prescription medication is compatible with health supplements you are taking. This is a very valuable and free service. We offer highly competitive pricing, as well as a unique loyalty bonus of 2% off your purchase which can be redeemed when you next order. You don't have to wait to accumulate hundreds of dollars in purchases before being able to claim this bonus and your bonus points do not expire. Every time you purchase off the site, you are able to receive a discount amounting to 2% of your previous order, which means you get the best prices, always. Shopping online with us is always safe and we offer secure online encryption during our checkout process. Your personal information is stored securely and kept in the strictest of confidence.All credit card payments are processed through the ANZ secure banking portal and no credit card details are stored on our system.